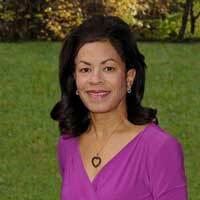 Dr. Eva Simmons-O’Brien is a board certified dermatologist and an Assistant Professor of Internal Medicine at The Johns Hopkins University School of Medicine. She completed her in medicine and dermatology at The Johns Hopkins Hospital, where she served as full time faculty for both departments. Dr. Simmons-O’Brien is a Fellow of the American Academy of Dermatology, a member of the American Society for Dermatologic Surgery and the Women’s Dermatologic Society.